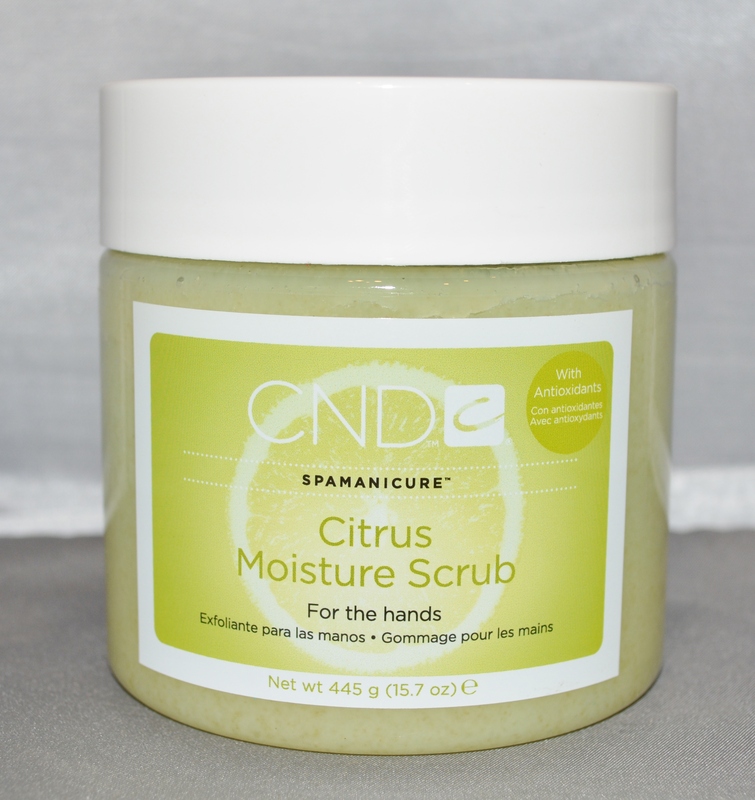 Creative Nail Design SpaManicure Citrus Moisture Scrub, For the Hands, with antioxidants. A citrus-inspired, luxuriant treatment that gently polishes and conditions hands. Features a blend of citric acid, grapeseed oil and super-fine mineral salts to reveal smoother, younger-looking skin. Directions: Apply a small amount to hands and gently massage for 1-2 minutes. Rinse hands or gently remove with moist towel.